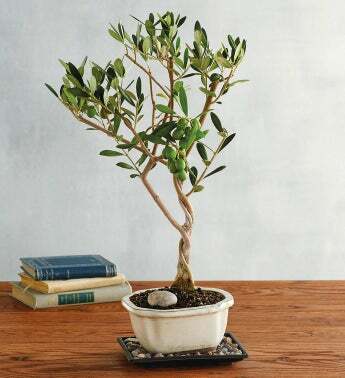 Bring a piece of the Mediterranean to your home or the home of a friend with this evergreen olive bonsai tree. 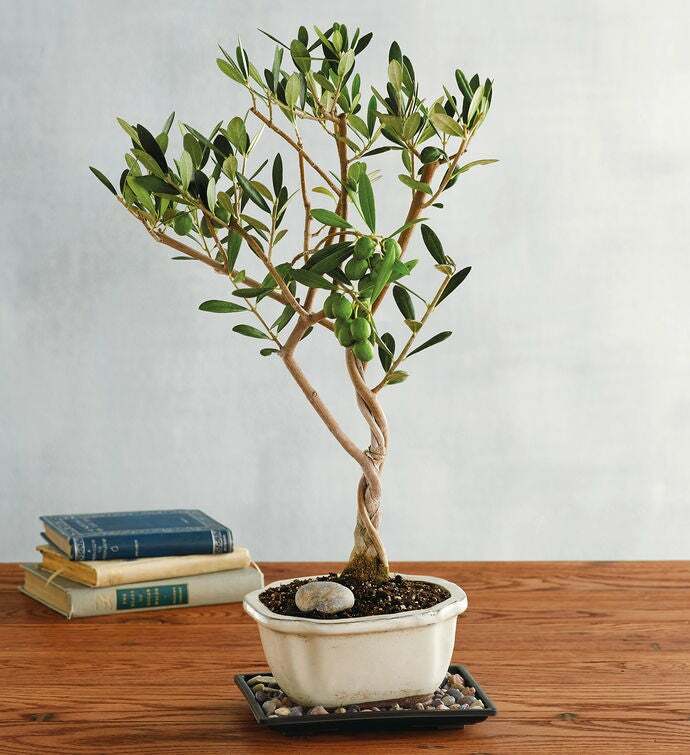 The tree comes pre-planted in a gorgeous ceramic container, looking just as vibrant indoors on cold winter nights as it does outside basking in the summer sun. This tree is native to the climates of Southern Europe, so it grows well in constant sunlight and requires little watering.